Are you looking to add more nautical art to your store inventory? 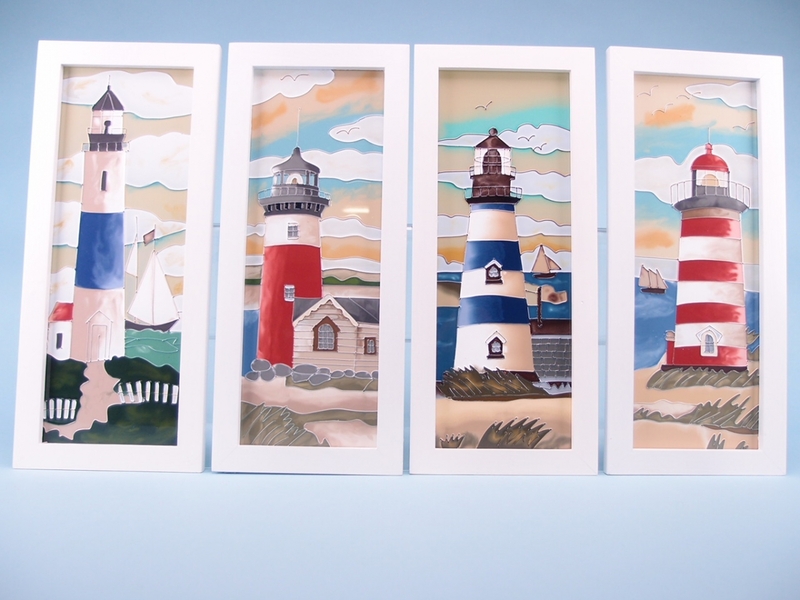 If so, these assorted lighthouse seaside scenes are a must stock item. There are four individual scenes, each one depicting a different lighthouse, each one is beautifully rendered. They each measure 15cm x 35cm and will look stunning when hung up. Are you looking to add more nautical art to your store inventory? 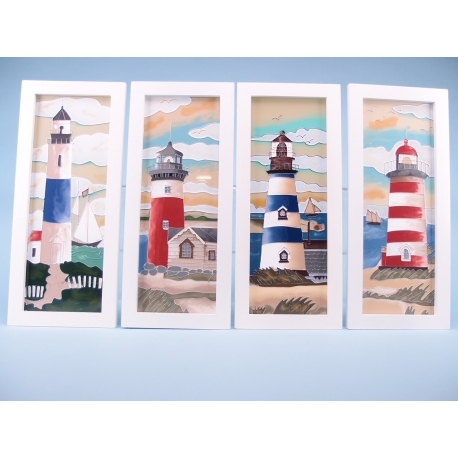 If so, these assorted lighthouse seaside scenes are a must stock item for you. There are four individual art scenes, each one depicting a different lighthouse, but each one is beautifully rendered. All four lighthouses are painted in either red or blue, and each one has a different seaside background depicted. They each measure at 15cm x 35cm and will look truly stunning when hung up on a wall. These beautiful scenes are sure to be popular with your customers, especially those with a love for the seaside.